What do PhD Researchers do to finish on time, to overcome isolation, doubt and writer’s block, and to enjoy the process? And just as importantly what do they do in order to spend guilt-free time with their family and friends and perhaps even have holidays? If this sounds appealing, then this session will be of particular use to you. 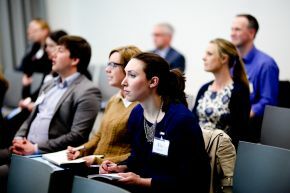 This workshop describes the key habits that our research and experience with thousands of students shows will make a difference to how quickly and easily you complete your RHD. Just as importantly, these habits can greatly reduce the stress and increase the pleasure involved in completing a PhD. 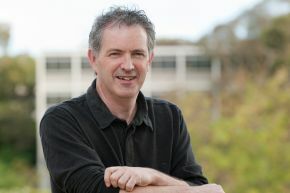 Hugh Kearns is recognised internationally as a public speaker, educator and researcher. He regularly lectures at universities across the world and has recently returned from lecture tours of the UK and the US which included lectures at Oxford, Cambridge, Harvard, Berkeley and Stanford. His areas of expertise include self-management, positive psychology, work-life balance, learning and creativity. He draws on over 25 years of experience as a leading training and development professional within the corporate, financial, education and health sectors in Ireland, Scotland, North America, New Zealand and Australia. He has coached individuals, teams and executives in a wide range of organisations in the public and private sectors. Hugh lectures and researches at Flinders University, Adelaide, Australia. He is widely recognised for his ability to take the latest research in psychology and education and apply it to high-performing people and groups. As a co-author with Maria Gardiner, he has published ten books which are in high demand both in Australia and internationally.